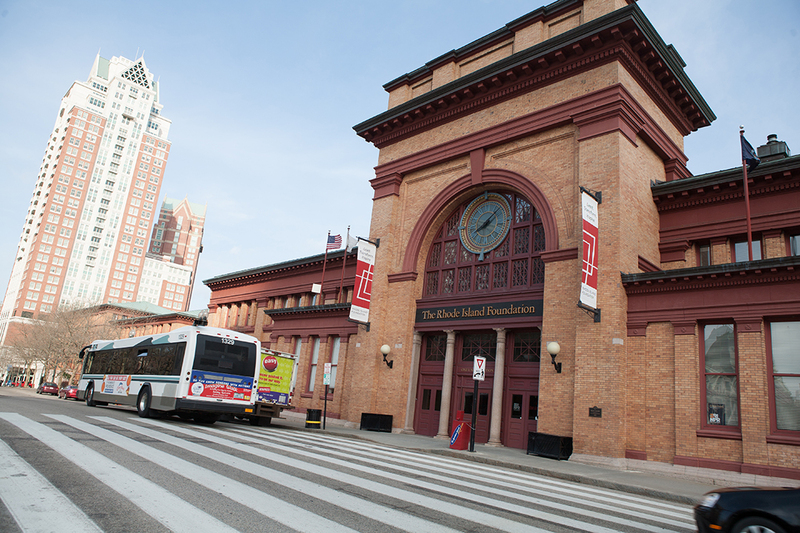 Now home to the Rhode Island Foundation, the building at 1 Union Station was first constructed as the city’s original train station. When it opened in 1847, the Romanesque-style station sat adjacent to a large cove and to what we now know as Smith Hill (where the Rhode Island State House now stands). It was once the longest building in America. After a fire in 1896, the train station reopened, bigger than before, consisting of five yellow brick buildings. In the station’s early days, some 300 trains ran through it each day. The building has been rehabilitated a handful of times, after the first fire in 1896 and another in 1987. The Rhode Island Foundation, a leading philanthropic organization dedicated to meeting the needs of the people of Rhode Island, moved into the building in 1999. View historic photos of the train station in its heyday. Doors Open Rhode Island is made possible in part through the support of the Rhode Island Foundation.